Smart business owners know how to take leverage of a loss too. What? You don’t agree with it? Well one thing, with which you would definitely concur, is they know what best web design is capable of. According to a research commenced by Stanford University, 46.1% people say they consider website of a business to be the most important parameter for deciding the credibility of a company. Your website design speaks a lot louder and long before you get the chance to impress someone personally. Yet, there are many, who do not regard their website as an investment but as an expense. If you are planning to get your website build or redesigned, mind you, acting miser will not bring you heaps of revenue. Always remember a professional looking website cannot be designed by amateurs. It is really not a rocket science to understand that the better your website will be, the more will be your conversion rates and so, will be the sales. Even for a layman, it is not that difficult to relate the direct proportionality that exists between design of your website and conversion rates and sales. Conversion rate is a ratio of the number of favorable outcomes to total outcomes. Conversion rate deals with the number of clicks on the website that lead to sales. For example, if 100 visitors visited your website in a week and out of them only 24 requested for a particular product or service, the conversion rate would be 2.4%. It hardly matters how good your products and/or services are. Unless you present your business very well over internet, people will not be buying from you. Conversion rate is calculated differently in different niches. You should however be more concerned about attaining a higher conversion rate. 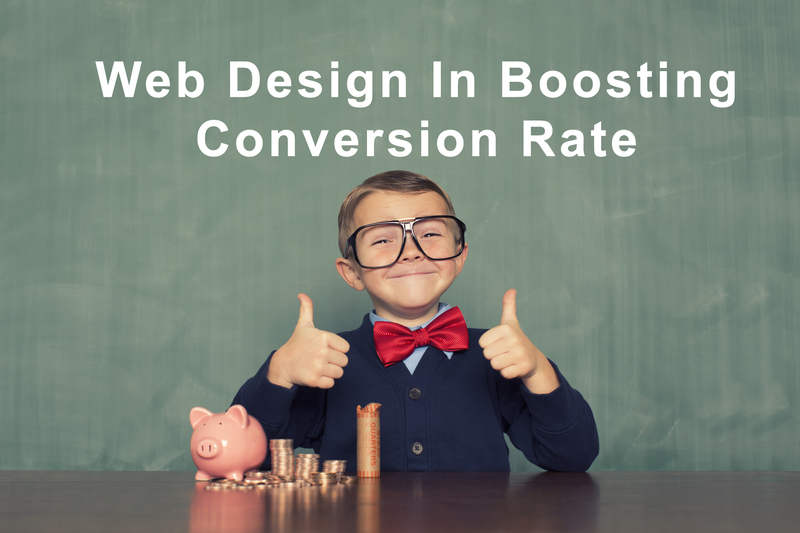 Let this post help you with some very bright ideas to boost conversion rate for your business. Don’t make your visitors search your CTAs. Rather they should be easily visible for them. You must have heard the famous proverb- “out of sight out of mind”. If your visitors can see call to action links easily they are likely to work in your favor. Remember, your purpose of having a website is running your business and that is insignificant if you don’t do sales. Convince your prospects and customers to buy from your website. Try and minimize the steps involved for buying your products or services. CTA should be strategically placed where it can be noticed by the visitor effortlessly. Don’t command your visitors to buy but persuade them to place an order. Give attractive headings to your content. Even great pieces of content on your website can go unnoticed if the headlines are not catchy and defined. It should be easy to be understood by anyone who reads it. According to a recent study, over half the number of visitors stay for less than even quarter of a minute on a web page. In such short span, only a creative and bold heading written in attractive colors can impress the audience. Don’t hesitate in using bold fonts and showing off your graphic designing skills to make it aesthetically appealing. Publish testimonials and reviews. Personal experiences of your present and previous customers give your website a human touch. In yester decades, the most popular medium of marketing was word of mouth. Customers still want to seek advice from fellow people about what they intend to buy. Give them the positive feedback of your loyal and happy customers on your homepage. This will meet the psychological needs of your prospects. Digital marketers, these days, rely upon storytelling which is quite similar to the case studies. You can add them to better connect with your target audience. Include infographics. There are different formats but there is no denying that popularity of video is unbeatable. Possibly it is because of the fact that videos encourage potential buyers to imagine. In imagination a person relates himself to the character of video. This further helps in bringing more web traffic and ultimately boosting conversion rate. You can get as creative as you want with a video. Quickly deliver your message through infographics and never go unnoticed. Build their trust in you. Your target audience deserves to know how credible you are as a business. Make all your attempts to influence them with what you have earned so far. It does include making them witness love from your existing customers in form of reviews and testimonials but also don’t lag behind in showing away your awards, badges and certificates. Expecting your business to do good without making extra efforts towards website design and development is not a wise act. Look out for a web design company which can convert the consumer behavior in favor of your business.